Win a pair of tickets for Texas LIVE at Doncaster! 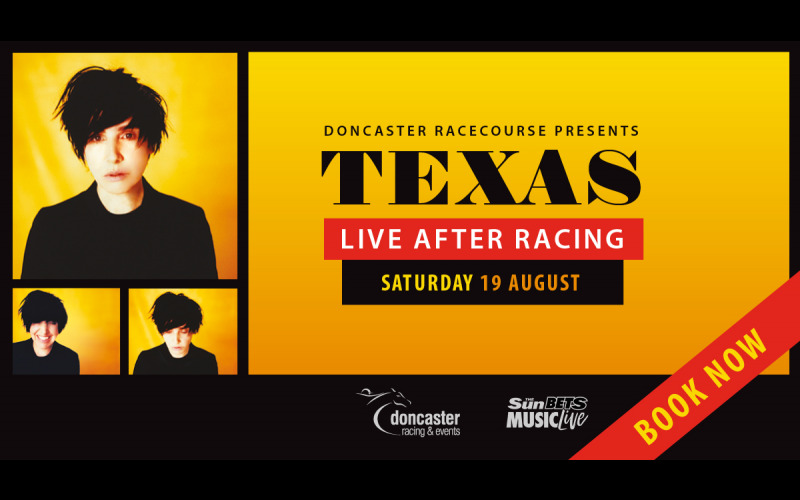 Doncaster Racecourse are thrilled to be joined by Texas as they perform live after racing on Saturday 19th August. When a thrilling 7 race card comes to a close, the Brit-nominees will take to the stage in front of a lively Doncaster audience. Originating from Glasgow, Texas were founded in 1986 by Johnny McElhone and Sharleen Spiteri, who remains the groups lead vocalist. Texas made their performing debut in March 1988 at the University of Dundee and since then they have achieved not just national but global fame. We’re offering 3 pairs of tickets to the event which we hope will draw in the usual fun-loving crowd the racecourse attracts!